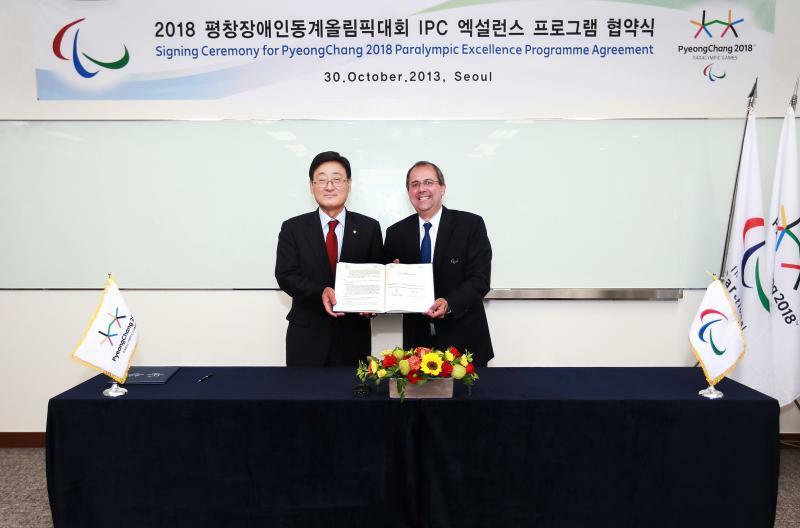 The International Paralympic Committee (IPC) has announced an agreement with the PyeongChang 2018 Paralympic Winter Games Organising Committee for the delivery of the third edition of the IPC Academy Excellence Programme. The partnership will see the IPC Academy deliver a range of knowledge workshops across the next five years as part of the IPC Academy Excellence Programme, and is geared towards enhancing the planning and delivery of the 2018 Paralympic Winter Games. Having already rolled out the Excellence Programme with Sochi 2014 and Rio 2016, the 2018 programme will be split into three distinct sections covering a whole host of areas related to staging Paralympic Games. The knowledge workshops provide informative and participatory opportunities for OCOG staff to work together in solving issues they face, while hearing from industry experts on past experiences and best practice. The first workshop will take place in December 2013 with further workshops being delivered through to 2017. Closer to Games time, the IPC Academy will host a Simulation and Readiness Programme which provides a framework for the OCOG to undertake specific Paralympic Games exercises. Throughout these sessions the IPC Academy undertakes observation and feedback of the senior staff in preparation for Games time delivery and decision making. A recent workshop was delivered in Manchester, UK, for the Sochi 2014 Organising Committee and a further Games-wide readiness simulation will be undertaken in November in Sochi itself. The third section of the Excellence Programme is the Observers Programme and Games Debrief. This will see members of the PyeongChang Organising Committee attend the Sochi and Rio Paralympic Games to observe Games-time delivery and to provide valuable insights and an understanding of operational delivery. The Debrief then allows reflection and discussion of key outcomes of the Games several months after each edition. PyeongChang 2018 will host the Debrief of the Sochi 2014 Paralympic Games in July 2014.